After years spent working in the fashion and magazine industry, Dana Kellin translated her relaxing, part-time hobby into a full-blown career and successful company. Her collection of Intricate, understated and ultra-feminine jewelry began when wire-wrapping was first introduced to the designer jewelry scene. She has since perfected the look, infusing it with her creative, delicate, and antique-inspired quality. 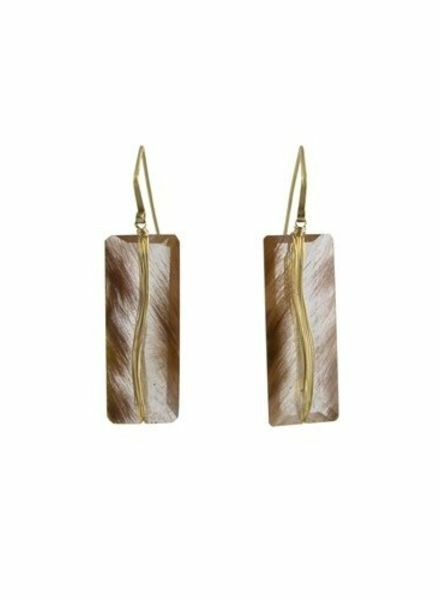 Often called 'lingerie jewelry' or a 'man magnet', her necklaces and earrings have a distinctive, small-scale and understated beauty. 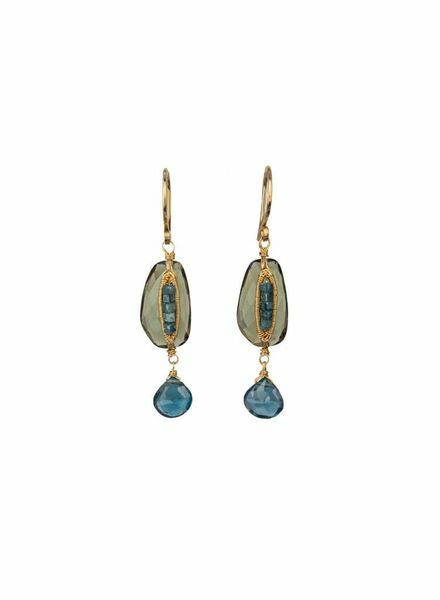 A pair of olive quartz earrings with teal diamond accents. 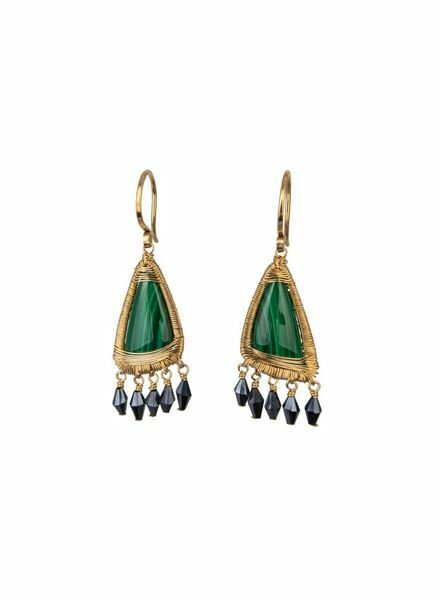 A pair of drop earrings with wire-wrapped malachite. 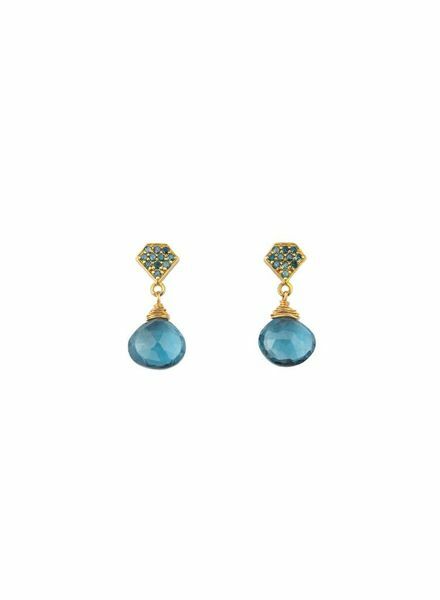 A pair of small teal diamond, teardrop earrings with gold accents. 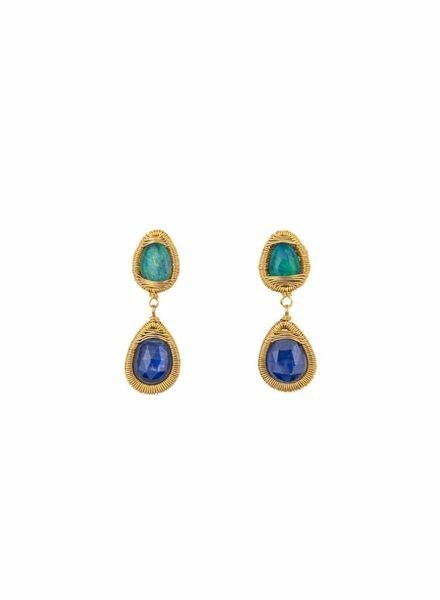 Mixed drop earrings with opal and kyanite stones wrapped in gold. 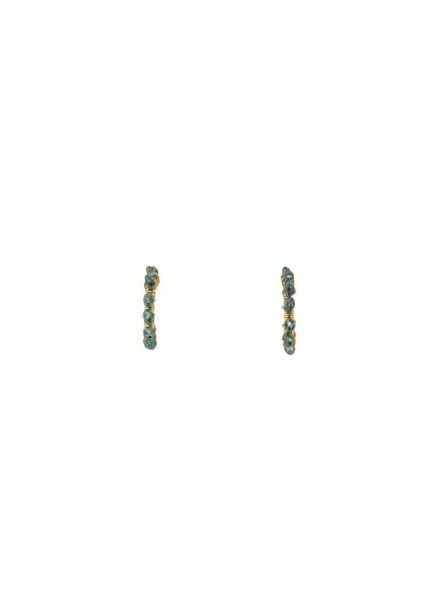 A pair of rounded studs with teal diamonds wrapped in gold. 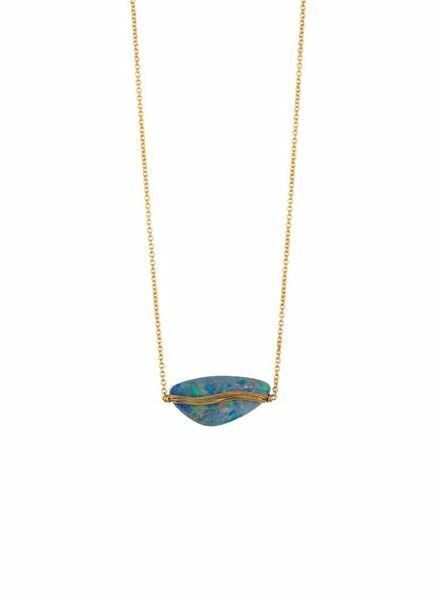 A double-faced opal necklace with gold wire wrapping. 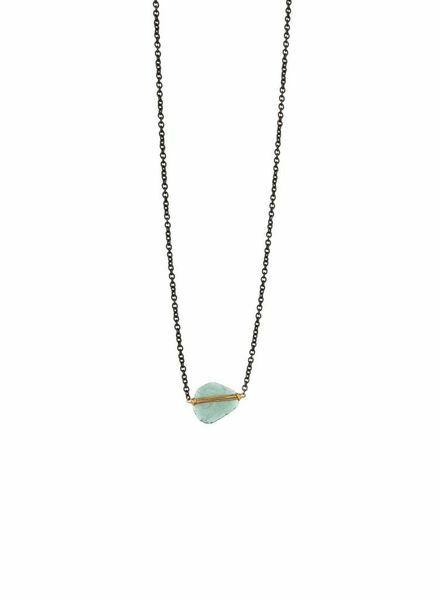 A teal diamond necklace with gold wire wrapping. 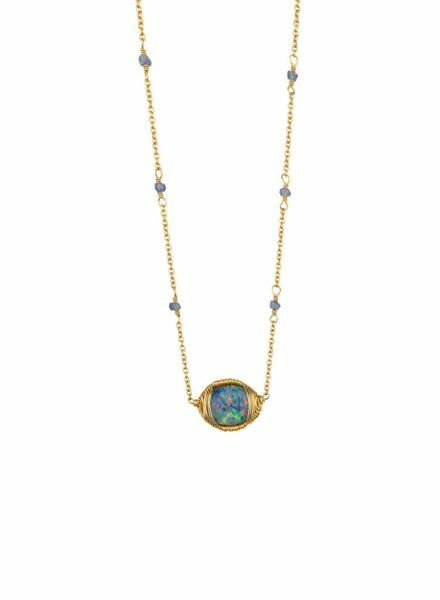 An opal, wire-wrapped in gold with blue sapphire accents along the chain. 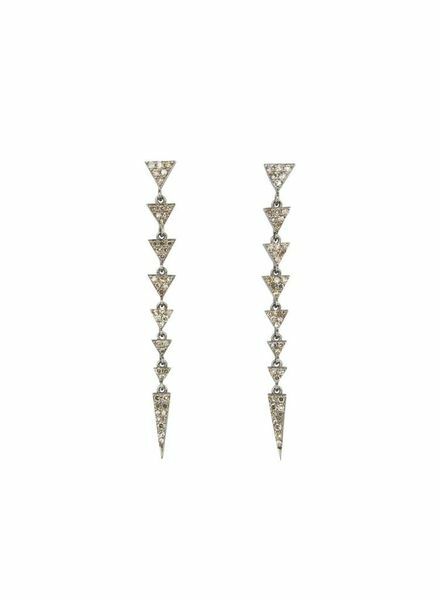 A pair of drop earrings made up of diamond-covered, geometric links. 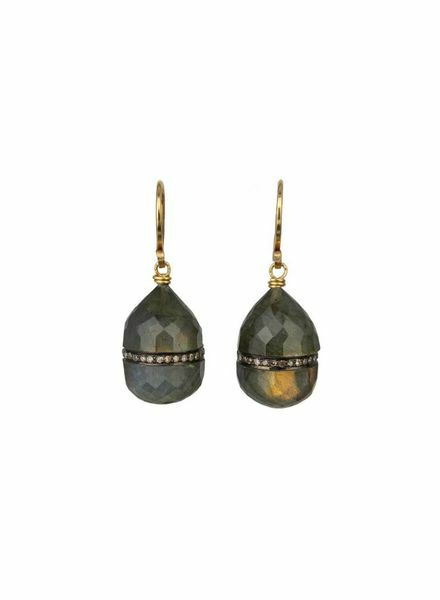 Diamond-accented, faceted labradorite earrings with a peaked top. 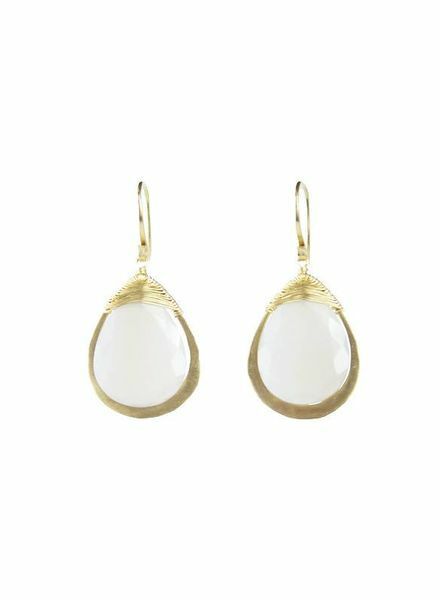 Teardrop-shaped grey chalcedony set in 14 karat gold wire-wrapped frame, on 14k wire. 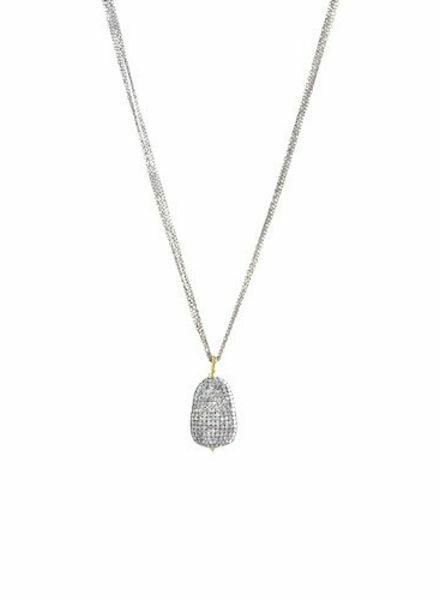 A large pave diamond pendant on four-strand oxidized sterling silver chain with 14 karat gold wire wrapping details and lobster clasp closure. 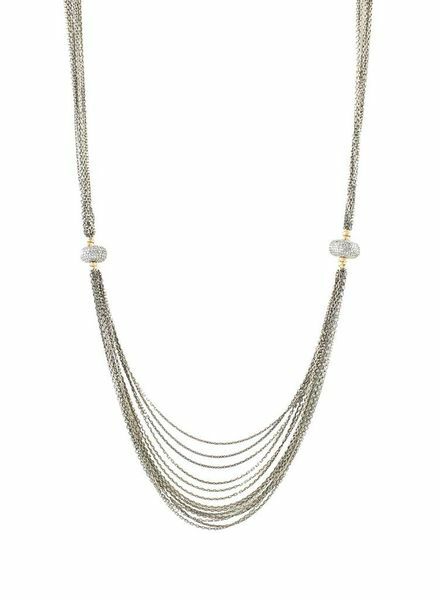 A multi chain necklace with diamond studded orb shaped ornaments. 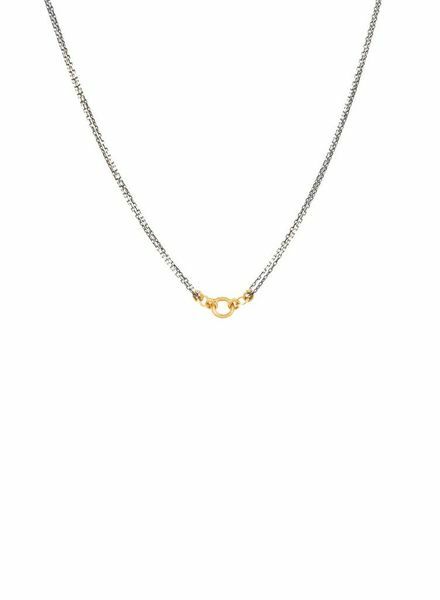 A chain necklace with 14k gold chain ornament.